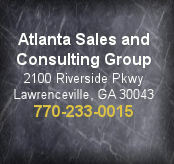 Answer to forum questions from our expert David Peterson of Atlanta Sales and Consulting. 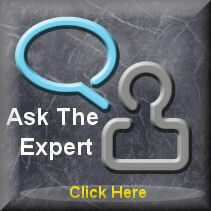 Questions and answers from David Peterson's ask the expert forum. My representatives are always complaining about their commissions. Every month it's the same thing "My check is wrong, you need to fix it now." All I can say is that I will have finance take a look at it on Monday but I'm sure it is right. We only change sales compensation plans once a year but it's like... the sales representative don't know how much they are being paid or what they are being paid on. Every commission check they are mad and assume the commission check is wrong. Then they are so unmotivated that the rest of their day, and definitely the rest of my day is ruined. How do I fix this? 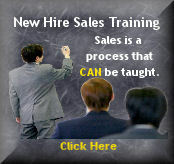 Sales compensation plans are written specifically to be motivators of sales not de-motivators. The plans do change often especially when the sales of an organization are growing exponentially or decreasing at an increasing rate. Sales compensation plans are also used to promote specific products or specific activities within an organization. The rub with the compensation plan is when the people who are closest to them don't understand how they work or why they changed. Those people are specifically the people the compensation plan is trying to motivate - the sales representatives. The confusion typically happens when the compensation plan is so large in terms of the number of products or services it is trying to cover or the plan requires more than the calculator found on a cell phone to figure out the amount to be paid. That is the motivation... "How much am I being paid." Let's face it the compensation plan is used to drive sales, but the sales reps are trying to find out how much they make from each sale. Here's my advice, hand your compensation plan to a marketing manager or better yet hand it to your spouse. Ask them, "if you sell x, y, and some of z how much will you make next month?" If they can't figure it out then your plan is too complicated. Your goal when writing compensation plans is to motivate the employees to sell the items you want sold. If your compensation plan is causing problems then you need to go back to the drawing board - quickly. Don't let this problem fester all year long. If it is festering then by definition it can't be motivating. I have a sales rep that is the hardest worker I have ever met. She sits at her desk all day. Rarely does she get up, I think she even rations the number of bathroom breaks she takes. She takes on every project that we ask of her and she completes all of the projects in a timely manner and each project is better than the last. My problem is that her sales are starting to suffer so I have been slowly removing all of the extra activities. This should have freed up her time but her sales have not been recovering and I think that she is also a little disappointed in her performance. She used to be #1 or at least in the top 3 every month. Any suggestions? I would hate to lose her. You have probably guessed my answer before you even read it... This is a sales management problem, you caused this problem. As sales departments get more and more successful the demands from interdepartmental groups also begin to increase. In other words the work that you, the sales manager used to take on has increased to such a level that you have had to begin delegating some of it to the sales staff. Don't get me wrong I'm all for delegation. And some of these projects need to be done. On top of that it can be very rewarding for a sales rep to be asked and then given the time to complete a project that is not related to their normal duties. Probably what has happened in this situation is that you took one of your very best reps and began giving them additional work. The rationale was that even if her sales suffered a little she would still be well over 100% every month. That rationale is correct until A: Your additional work actually becomes her daily routine - this happens quickly and you typically don't notice it until its too late. OR B: Your sales department has been advancing so quickly that last year's 100% goals are this year's 75% goal - with fast growing sales departments this is very normal. The ultimate answer is... Stop taking on the additional work that is really not sales related. Push it to sales support, or marketing, or even back on your boss. Only delegate projects to your sales staff that will empower them and keep them motivated. NEVER delegate busy work to your sales staff. Today's A player becomes tomorrow's C player within a couple of months with that strategy. As for this rep, start looking for a new department for her. She needs a change. You ruined her with busy work and you need to help her land on her feet. She can still sell, but she will need a fresh start with a new motivation. I am in the process of finishing the yearly evaluations of my employees. 4 things frustrate me every year: 1) I spend a LOT of time writing these evaluations. 2) My employees don't read the evaluations and they don't take the time to make comments. 3) They never agree or they look completely surprised at my rating. 4) They think their merit raises should have been higher - in just about every case. How can I make these evaluations go smoother? I have dealt with this issue longer than I have been in sales. I can remember back in my Navy days that my supervisor would give me my own evaluation to write, then when the time came he would sit me down and deliver that same evaluation that I wrote to me. At least you are taking the time to do the evaluations correctly. Many organizations skip this step. Here is how I would approach your problem. First and foremost throughout the entire year you have to be preaching about the end-of-year (EOY) evaluations. To overcome #1 "I spend a lot of time..." This one is easy throughout the entire year make sure you are writing coaching notes on your employees for every good and bad thing that happens that way you have the material ready to be copied onto the evaluations. To overcome #2 "My employees don't read..." This one is harder, you can't make them read it or comment on it but if throughout the year you stress the importance of the evaluations they MAY pay more attention. I also use my perception of how they commented (bad grammar, spelling, etc) in my evaluations, when you do that they will at least try. To overcome #3 "They never agree..." This one is also easy - when you are writing and delivering your coaching throughout the year give them the rating at that moment and keep a running tab. Hand a copy of the coaching note with the evaluation rating to the employee. They can no longer say they didn't know how they rated, or what their rating should be. To overcome #4 "They think their merit..." This is my favorite issue and again it is easy to solve, as you go throughout the year, in just about every team meeting you hold bring up the subject as compared to how the company as a whole is doing and how individual rep performance will be important. Using comments like "we have to do better or our merit increases will be non-existent...," or "greater individual sales performance leads to greater merit increases...." can be very helpful in June, July, and August if you are delivering the evaluation in December. In case you didn't notice all of the solutions really deal with communicating your expectations throughout the year. You have to communicate with your employees if you want your evaluation period to go smoother.